Through the years, M. Night Shyamalan has created classic horror movies. If you talk to anyone who lives in the Western world and say, “I see dead people,” they’ll almost certainly know what movie you’re talking about. This year, he brought us Split, a terrifying new take on a kidnapping traditional kidnapping horror movie. As the movie opens, we meet Casey (Anya Taylor-Joy), Claire (Haley Lu Richardson), and Marcia (Jessica Sula) waiting for Claire’s dad to put gifts into the trunk of the car. As three girls sit alone in the car and wait for Claire’s father, Casey senses that something is off, sees everything spilled behind the car, and immediately we meet Kevin Wendell Crumb (as his personality “Dennis”) who climbs into the drivers seat. He attacks each one, sprays their faces, and drives off where they wake up in a basement and meet a new personality. This is something M. Night Shyamalan loves to do in his movies: play with our minds and use simple, every day situations to create unease. We’ve all been waiting in a car for someone, and it is possible anyone could get in your car at any time. When we look back at his other movies, we can see he’s a master of the hidden details that only a true horror director and writer could master. The rest of the movie takes place in and out of the basement where the girls are kept in a room and unsure of which of Kevin’s personality they’re going to meet at any given moment. Every time they hear a noise outside their door, they’re not sure who is on the other side. One drawback to this movie is that we only touch lightly on Kevin’s and Casey’s childhoods, but we don’t get the full details or explore the full story. I’m not sure if there a sequel planned, which would be uncommon in M. Night Shyamalan’s career and movies, but if he decides to, there’s a chance we could learn all those details. The best part of this movie is James McAvoy’s acting abilities. It’s not easy to balance multiple characters in a movie flawlessly, but he also masters the nuances of each character which gives greater believability to each new personality. While we never see all 23 personalities, probably due to keeping the storyline focused, the threat of each one continues to grow throughout the movie, because you don’t know what’s coming around the corner or how each character will act. Throughout the movie, we also see interactions between Kevin and his psychologist, Dr. Fletcher. It brings in a sense of empathy for Kevin and his different personalities. Not only do the girls have to worry about each personality, but the individual personalities interact and manipulate each other, giving an added layer of fear on top of the already strenuous situation. 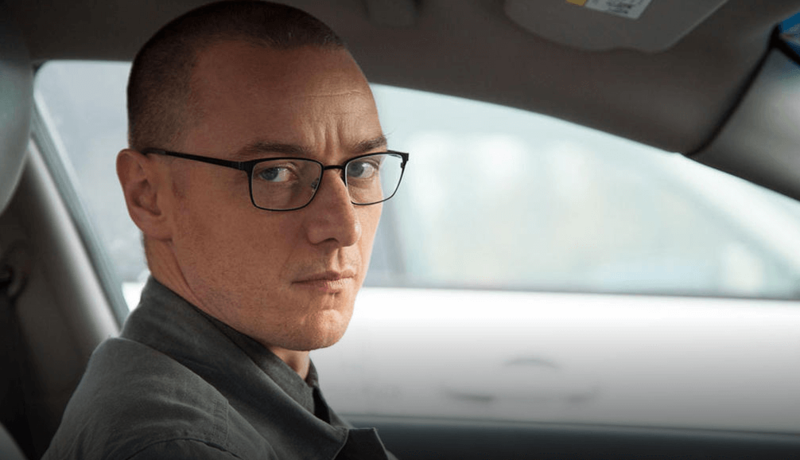 The visuals and sound effects in Split keeps the viewer in endless suspense and gives the feeling of actually being in the room with the girls and feeling the anxiety they do. The random creaks, the dark lighting, it all shows the work of professionals. I won’t spoiler the entire ending, but in true M. Night Shyamalan fashion, there is a surprise twist ending you’ll have to watch to find out.